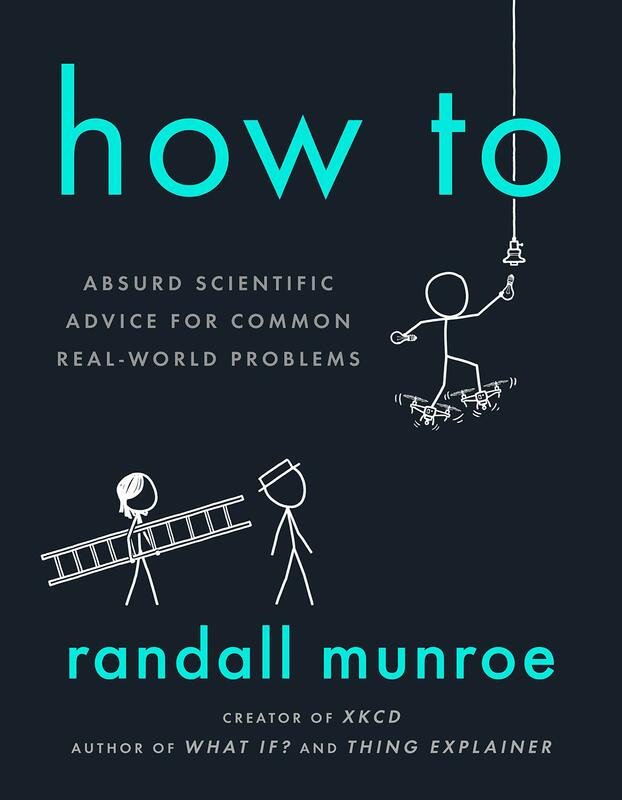 Randall "XKCD" Munroe's next book has been announced: How To: Absurd Scientific Advice for Common Real-World Problems, a sequel of sorts to his 2014 book What If? : Serious Scientific Answers to Absurd Hypothetical Questions, spun out of his wonderful XKCD spinout site. It's out on Sept 3, and the publisher's description makes it (as Kottke says) an instant pre-order: "For any task you might want to do, there's a right way, a wrong way, and a way so monumentally bad that no one would ever try it. How To is a guide to the third kind of approach. It's full of highly impractical advice for everything from landing a plane to digging a hole."